Why do people choose to build their very own custom home? There are many homes for sale on the market, why not simply purchase one of those? We build homes because we demand more out of life. We have ideas and dreams in our minds that we want incorporated into our everyday life. The homeowner that decides to construct their own living space is an individual who does not accept the status-quo and a person who lives with a bit of a creative flare. 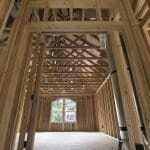 One of the most exciting aspects of building a custom home for you and your family is that all the details are in your hands. When a client first reaches out to our team, it’s like a sculptor with a new block of clay. The visions and thoughts that are in the artist’s head can be brought to life through the clay. The same is true when building your own home. The sky’s the limit- what will you create? Occasionally we deal with a client that already knows every single detail that their future home will feature. For the most part, future homeowners know some of the main aspects their home will include but they are also looking for some inspiration to ensure their home stands out from the crowd and makes it a spectacular space to live in. The Cherry Lane Homes team has compiled a few unique ideas for you to look through, which can be the fuel to your home building brainstorming sessions! The Okanagan Valley is one of the most unique wine regions in the world. Over the past 20 years, the quality of wines has drastically increased, especially when it comes to the hot climate reds that are being produced. A well made red will only improve with age, although you must be careful when aging your wines. The bottles should be stored on their sides, away from sunlight, in a cool location, with a humidity level of about 70%. What better way to store your wines properly than designing your very own wine cellar? The cellar in your home can be a functional space down in your basement, dark and mysterious like the French Catacombs, or it can be a focal point in a living space, with rows of sparkling bottles stored behind clear glass. 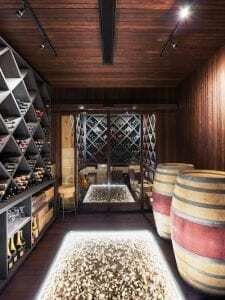 Wine lovers and chefs tend to construct some of the most eccentric cellars, which become the theme for their entire custom built home. The majority of residents that gravitate towards the Okanagan Valley and Kelowna have a deep appreciation or love for the scenery that surround us. British Columbia is like no other place in the world, an interesting fusion of dessert, rainforests, ocean, mountains and greenery. Why not infuse the power of Mother Nature right into your home? Living walls are very popular at the moment and are not overly difficult to construct or maintain. From a design perspective, imagine how the texture, smell and sight of an entire wall of moss or plant life could transform a space. Living walls instill a sense of calm and peace, while also giving a household a lively energy. There are some that take the elements of nature to a whole other level in their custom homes. For instance, there is a home on Vancouver Island that has a river running through the home, which helps heat and cool the interior. If you have the right team working with you, anything is possible. Everyone loves going to the movies once in awhile to get that true, “cinema experience”, of a giant screen and sound the emanates from all around you. If you are constructing your own home, why not make your own theatre to go along with it? Many custom homes feature an intimate home theatre which can be used to watch movies, or as a hangout space for your next Netlix binge. Your friends and family will be dying to come over to watch major sporting events and new releases- feel free to charge emission if your custom home becomes too popular! 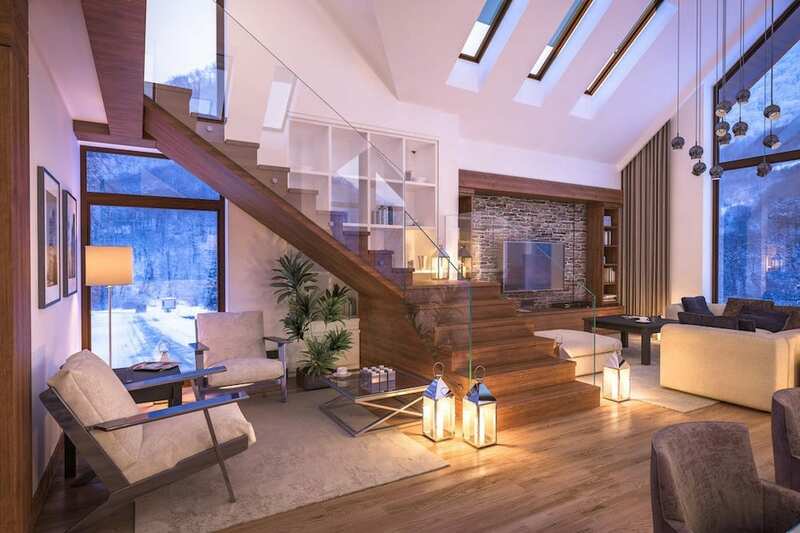 Every epic home features a spiral staircase. There are many ways to incorporate such a feature, but often it is placed near the entrance of the home so it fills a visitor’s view as they step through the front door. Every time you descend your staircase you will feel elegant and refined. You can use a spiral staircase indoors or out, remember, the only limit is your imagination. There are some activities that men and woman enjoy together, whereas, other times you wish your spouse had their own space to enjoy their hobbies in peace. 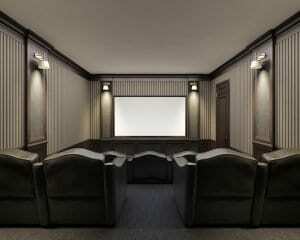 Gentlemen- you can create your ultimate sports viewing facility. Craft beer on tap, multiple flat screen TVs, classic arcade games, cigar humidor, maybe even a mini rock climbing wall? And for the ladies, how about a full spa, cocktail bar, and massive comfy pillows in every corner. Does your man cave or lady lounge seem a little, average? Dream bigger! These are only a few ideas that you could incorporate into your custom built home. We hope that they gave you a little inspiration and got the creative wheels turning in your head. Are you ready to discuss building your very own custom dream home? Connect with our team today and we can brainstorm together!